With an athletic background and an interest in the body, Hilary began studying movement and biomechanics as a personal trainer. 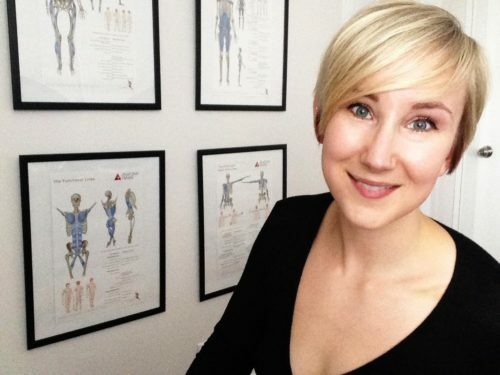 After experience working with pre/post surgery clients, and various degrees of body injuries Hilary furthered her studies of structural/mobility work in 2011 with Ann and Chris Fredrick who founded and created Fascial Stretch Therapy. Hilary is currently a level 2 Fascial Stretch Therapist. After various workshops and seminars Hilary continued her education with Thomas Myers learning Kinesis Myofascial Integration at the Kinesis Institute completing the program in 2015 and later that year became a board certified structural integrator. Hilary is looking forward to continuing her studies in bodywork and complimenting it with movement.